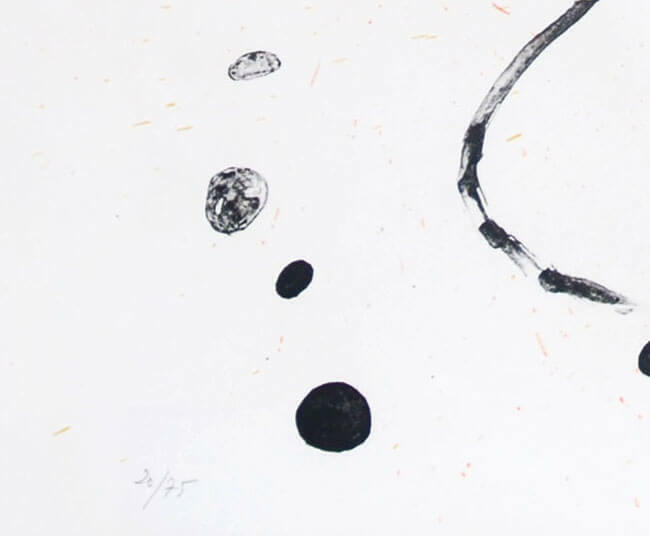 Numbered from the edition of 75 in pencil in the lower left aside from the numbered edition of fifteen artist proofs reserved for the artist and the collaborators. 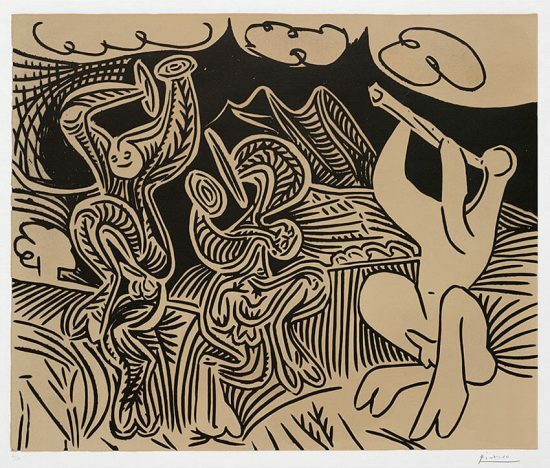 This work is hand-signed by Joan Miró (Barcelona, 1893 - Palma, 1983) in pencil in the lower right. Rhythmic serenity emanates from this delightful work. Miro creates a quirky yet sophisticated pattern of decorative and playful spots, irregular yet repetitive like a Dalmatian's coat. A motif made from small bold dots, richly textured ovals, and frail suggestions of outlines energizes the work with its rich variety. Refreshing splashes of color emerge without overpowering the composition that provide visual interest and further a feeling of natural easiness. 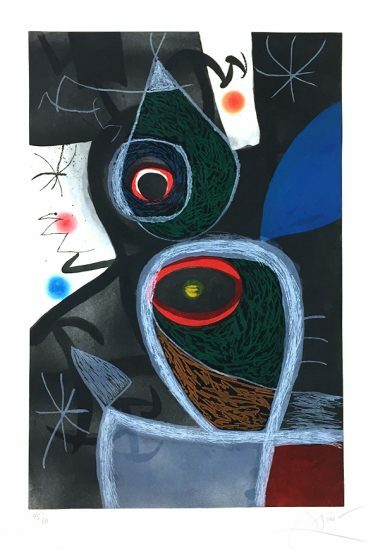 This subdued work is fine example of the softer side of Miro that is elegantly refined while remaining characteristically lighthearted. 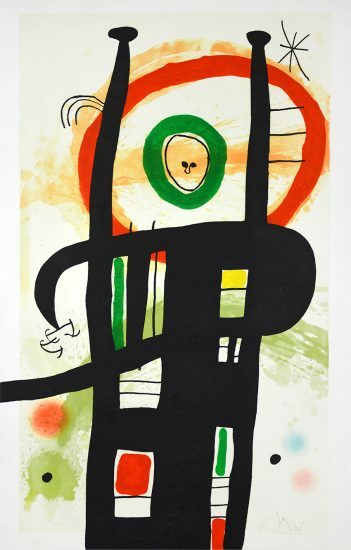 Created in 1961, this color lithograph rhodoid on Rives paper is hand signed in pencil by Joan Miro (Barcelona, 1893 - Palma, 1983) in the lower right corner. 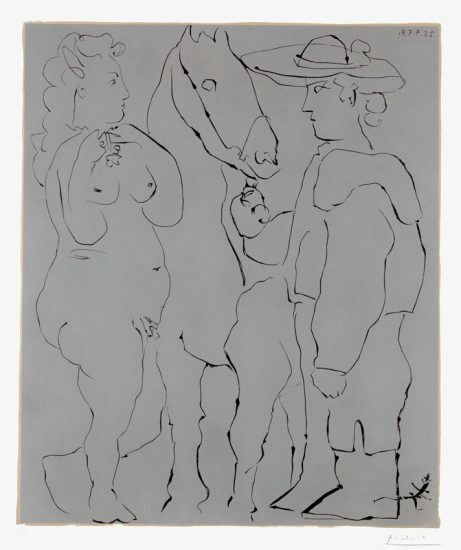 Printed and published by Maeght , Paris, this work is numbered from the edition of 75 in pencil in the lower left. 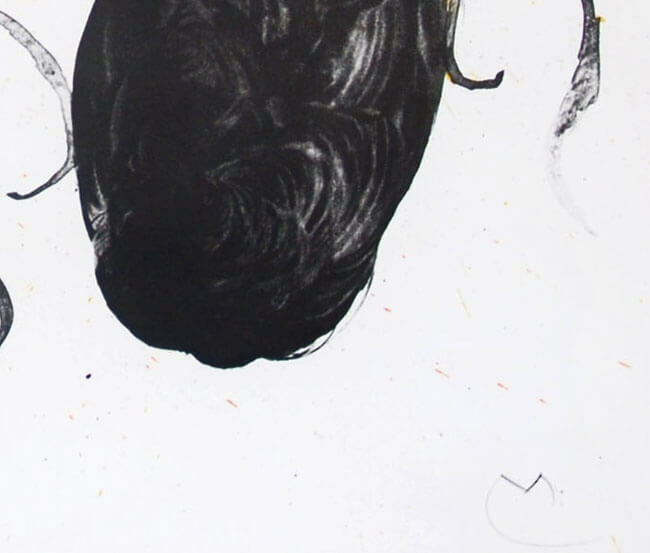 There are also fifteen artist proofs reserved for the artist and the collaborators. 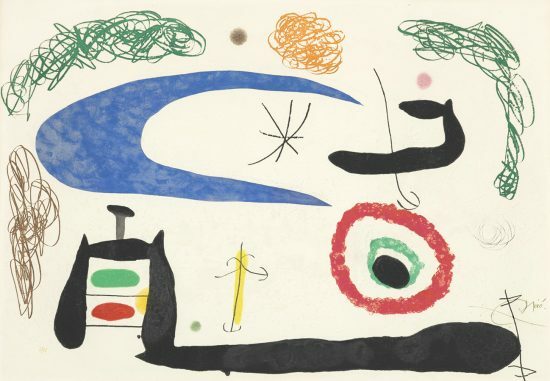 Joan Miró Plate 15 from Album 19, 1961 is fully documented and referenced in the below catalogue raisonnés and texts (copies will be enclosed as added documentation with the invoices that will accompany the final sale of the work). 1. Maeght Editeur. 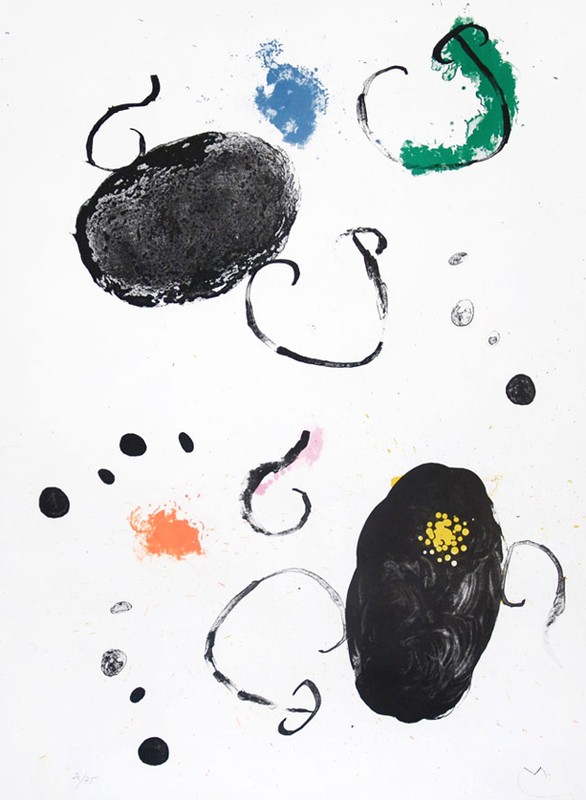 Joan Miró Lithographs, vol. II, Maeght Editeur: Paris, 1992. Listed and illustrated as catalogue raisonné no. 326 on pg. 199 and detailed on pg. 171. 2. Maeght Editeur. 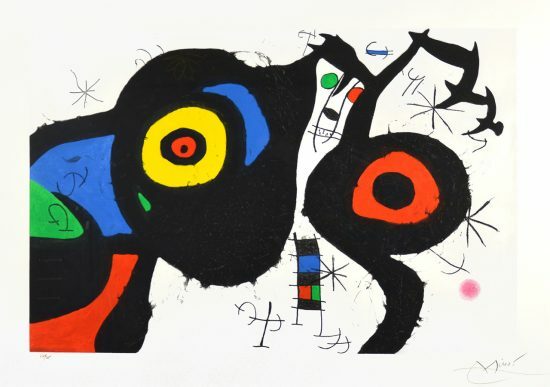 Joan Miró Lithógrafo, vol. II, 1953-1963. Maeght Editeur: Paris, 1975. Listed and illustrated as catalogue raisonné no. 258 on pg. 171 and detailed on pg. 199. 3. Cramer, Patrick. 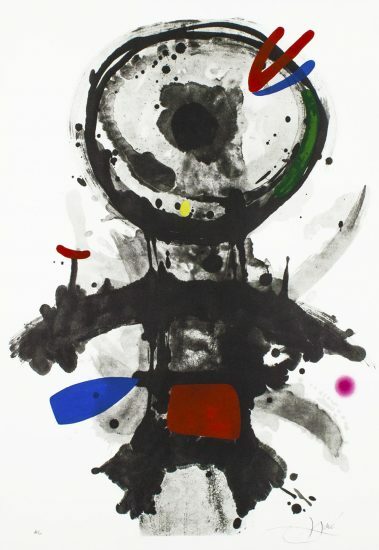 Joan Miró, The Illustrated Books: Catalogue Raisonné, Patrick Cramer: Geneva, 1989. Listed and illustrated as catalogue raisonné no. 70 on pg. 196-199. 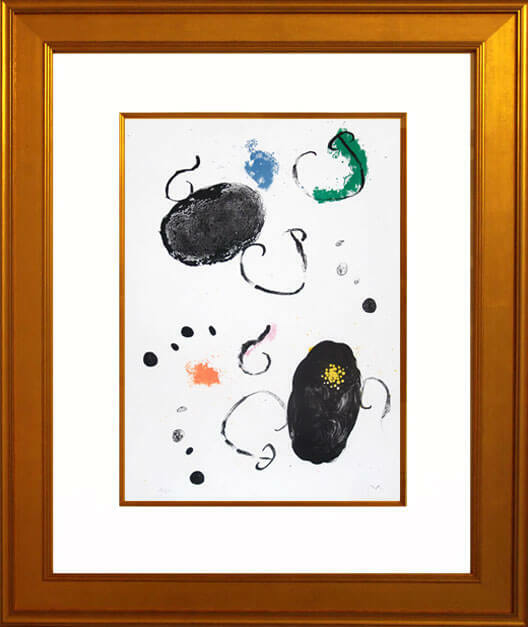 Joan Miró Plate 15 from Album 19, 1961 isframed to museum-grade, conservation standards, presented in a complementary moulding and finished with silk-wrapped mats and optical grade Plexiglas.